Axon Partners Group’s investment division is expanding its digital economy growth fund, Amerigo Ventures, to target Mexico and Peru and increasing the size of the fund to USD 100m. Amerigo Ventures Pacífico (AVP) launched in 2013 as private equity fund dedicated to the development of innovative digital economy companies from seed to growth stage in Colombia, with high profile investors like Telefónica, Bancoldex, Skandia, Fonprode, CAF, Brightstar and other private investors. It has made four high profile investments and an outstanding exit in just 12 months. Axon Partners Group has been investing in companies in LatAm since 2007. Its investment team has worked together for more than five years and has experience investing in companies from seed to IPOs. It has lead transactions with a cumulative value of USD 36bn and exits with IRRs of >100%. Axon has an excellent track record in growth capital and manages several hundred million dollars worldwide. Previous investments include global brands like iYogi and Just Eat, and Axon has previously partnered with Draper Fisher Jurvetson (DFJ) and Sequoia Capital. 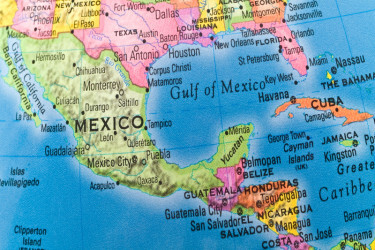 Interest in Mexico and Peru has increased in recent years due to the established economy and demand growth in LatAm in general and also through the development of the Pacific Alliance. For more information contact Rosie Hegarty, Marketing Manager at Axon Partners Group. To read more about the launch of the Amerigo Ventures Fund, click here.